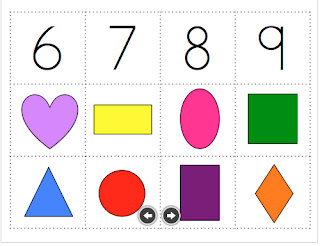 So many of my little ones this year can't tell a letter from a number and a few haven't any clue about shapes. 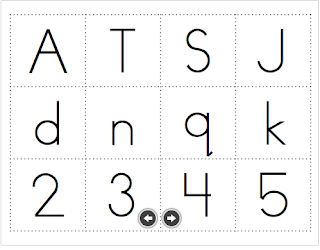 In the past I would just have them sort letters and numbers, but this year I am throwing shapes into the mix. For tomorrow, we will be sorting the cards in a pocket chart. We will follow it up with a cut and glue sorting activity. 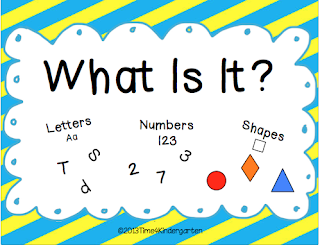 I will be able to use the activity as a mini assessment to see if they know the difference and I will ask them to name each letter, number and shape as well. You can get your copy here- Please follow my webpage if you already don't and I'd love some comments, lately I've had a lot of drive-by readers, but no one stops long enough to say hi. 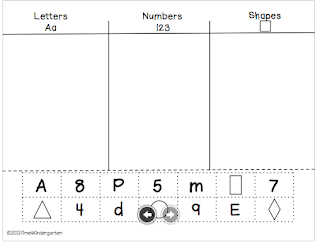 I really had a hard time finding a worksheet for Letters vs Numbers. When I came across yours I was really excited and the fact that you added in shapes was just a bonus! I had not thought of that and was glad that you did. Thank you so much!